Despite the changing landscape of SEO, generating high-quality backlinks for your website has never been more important. Since the Penguin algorithm updates, SEOs have had to resort to more nuanced techniques to gain backlinks. Some of these methods include broken link building, influencer marketing, infographic marketing, and so on. To implement these methods successfully, you need reliable link building tools by your side. Here are the 8 best link building tools you should use to build high-quality, authoritative backlinks. 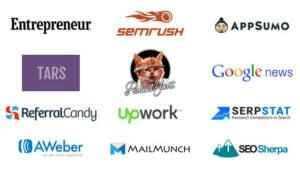 Ahrefs has the largest and most accurate database of live backlinks. Considered the best link building tool by many SEO experts, Ahrefs’ Site Explorer feature provides an in-depth look at a site’s backlinks, including new, lost, and broken links. This is incredibly useful if you’re planning to spy on your competitors’ backlink profile and want an inside peek into the sites your competitors are generating their backlinks from. You can also set up alerts for new/lost backlinks for any domain via Ahrefs Alerts, so that you are always aware of the new or lost backlinks on your own site as well as your competitors’ sites. You’ll receive an email from Ahrefs whenever you or your competitor receives or loses a backlink. Ahrefs also shows you the backlink strength of each backlink through a metric called Domain Rating, similar to Domain Authority used by Moz. If you’re aiming to build authoritative backlinks, ensure that the domain rating of the websites you’re targeting is greater than 45. 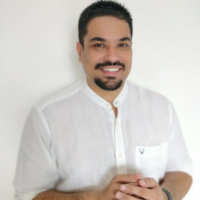 Ninja Outreach is one of the most popular blogger outreach tools in the market, helping you connect with influencers and bloggers to get those authoritative backlinks. Outreach Templates: Ninja Outreach provides you tons of outreach templates which you can customize to ensure that your message is personalized. 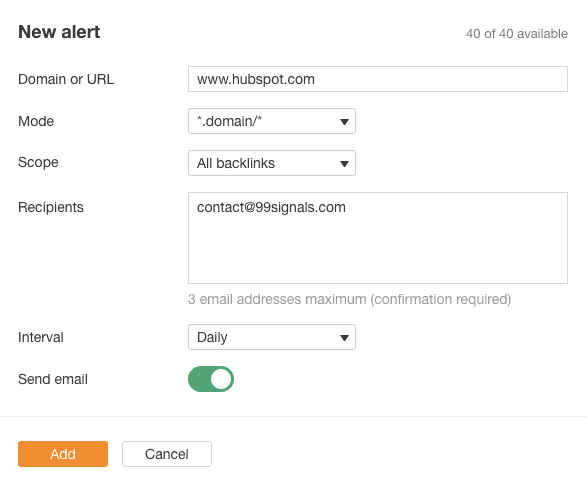 Automate Outreach and Check Email Stats: You can automate your email sends and track stats such as open rate, click-through rate, and reply rate. While not in the same league as Ahrefs when it comes to backlink analysis, SEMrush is still a powerful SEO tool which you can use for link building along with other SEO activities. Aside from using the tool’s backlink analysis feature, you can also find new link building opportunities with the ‘SEO Ideas’ feature. Using SEO Ideas, you can analyze each page on your website and view instant actionable SEO tips to optimize these pages, including the sites you should target for backlinks to rank higher in SERPs. 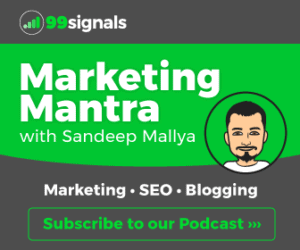 For more info on SEMrush, check out our SEMrush review here. 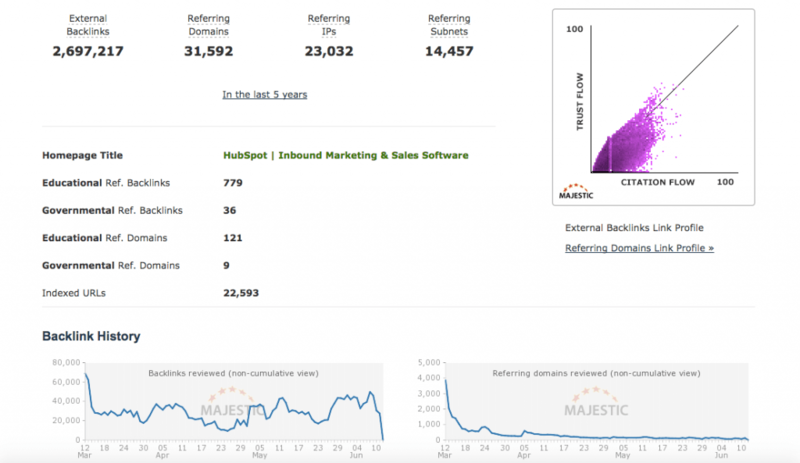 Playing itself up as “the largest link intelligence database in the world”, Majestic SEO helps you uncover your competitors’ link profile, allowing you to identify new link building opportunities for your site. Google Search Console is not just free, but it’s also one of the most accurate tools for link building. You can use this information to get backlinks from similar websites and find out which is the most linked page on your website. You can also view the anchor text on your website. All these reports can be downloaded. Download these link reports once a month to compare it to future reports. Serpstat is yet another SEO tool which allows you to view your site’s as well as your competitors’ backlink profile. Serpstat’s Backlink Analysis feature allows you to uncover your competition’s link building strategies and highlights new sources you can tap into to build new backlinks. Use this information to generate backlinks for your site using any of the link building techniques featured in this article. Need more info about this tool? Check out our Serpstat review here. 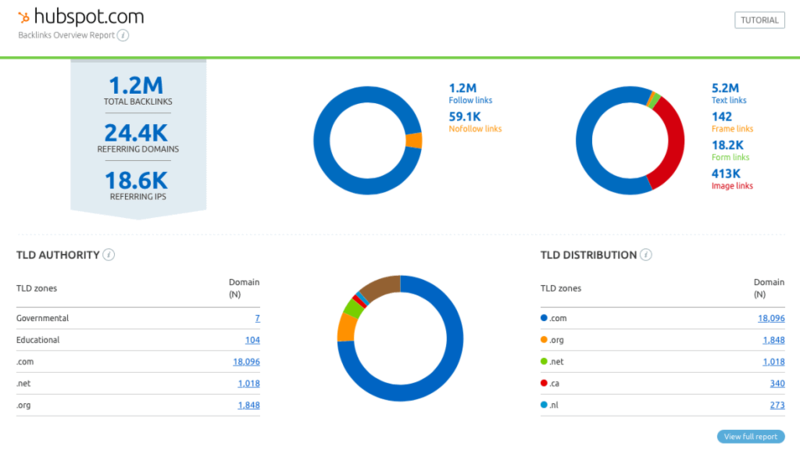 Open Site Explorer developed by Moz allows you to see important backlink metrics of any site, including the site’s domain authority, top pages by number of backlinks, anchor text, spam analysis, and more. If you’re a Moz Pro user, you get full access to Open Site Explorer where you can unlock the Link Opportunities feature to discover new link building tips from Moz. 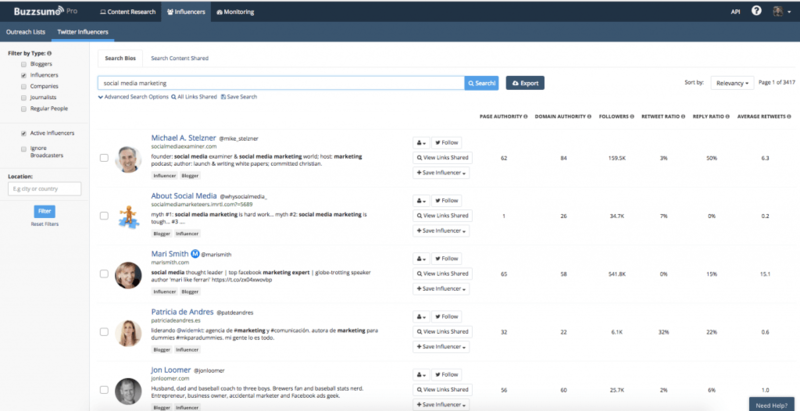 Aside from helping you find the most popular content in any niche, Buzzsumo also helps you connect with influencers and bloggers. Using Buzzsumo’s influencer search, you can find influencers in your niche and filter by factors such as page authority, domain authority, retweet ratio, average retweets, and so on. Once you’ve identified the influencers, you can save them to your Buzzsumo outreach list which can be imported into your outreach software’s contact database. When combined with a blogger outreach tool like Ninja Outreach, Buzzsumo becomes a powerful link building tool. Link building is an important aspect of SEO, but make sure you also give equal importance to other factors such as on-page SEO and technical SEO. Do you agree with our list of must-have link building tools? Let us know in the comments section. Hi Sandeep.. These are all paid websites. Can you please help me for some free websites as I am a beginner and I don’t want to invest too much now. 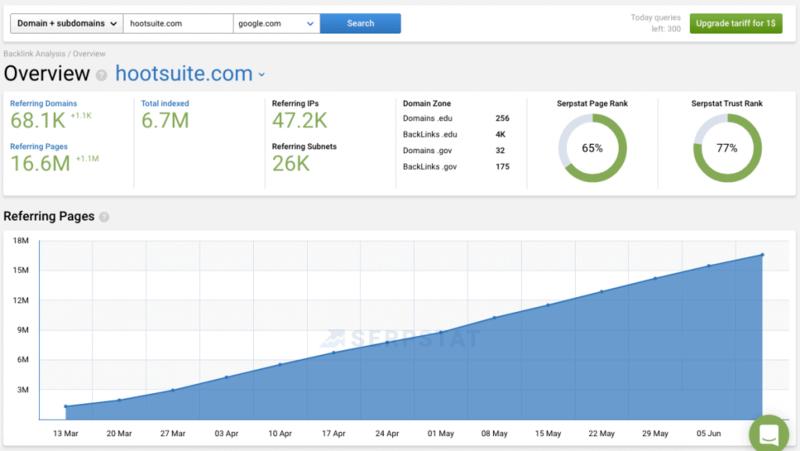 Google Search Console is free and Serpstat has a free plan. Ninja outreach was a strong candidate for us as well. In the end, personal preferences prevailed, and we ended opting for Pitchbox. What do you think of it? Hello, sandeep thanks for sharing your guide. Any tool to build links automatically. That able to post on websites . Actually I using seo vps for running seo tools and want to utilize resources.